Copyright: Is it Legal to Transfer TV Recordings to DVDs? As you know from the disclaimers at the end of TV programs and the beginnings of DVDs, recording an episode of "Monday Night Football" could land you in hot water -- but only if your use of the recording crosses a line. Charging a bunch of strangers to come watch a game you recorded is definitely bad. Less obvious acts of recording and transferring TV shows fall into a more gray area. Be sure to discuss your particular circumstance with an attorney. Meanwhile, some guidelines can help you gauge your situation. 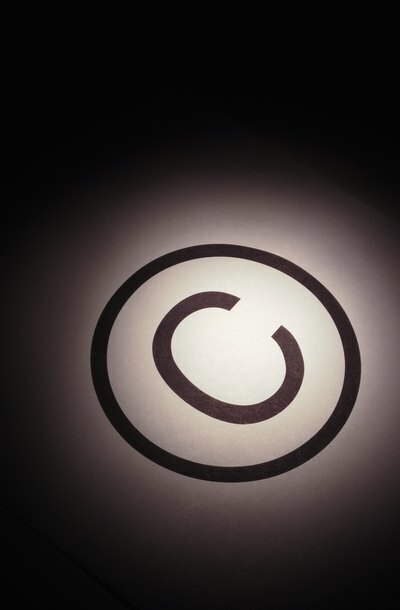 Under the fair use doctrine, individuals, such as artists, teachers or scientists, are allowed to reference others' copyrighted work and expand upon it. For example, a book reviewer can quote portions of a book in order to write a meaningful review or to make certain points about the book. The doctrine also permits private, non-commercial use of material that you're entitled to possess, like a DVD you bought or a TV show that's been broadcast into your home. In the United States, you are generally allowed to record TV programs to DVD, DVR or any other recording device for home viewing. Recording a show to watch it at a later date or time is known as “time shifting." The Supreme Court holds that time shifting is legal and protected under the fair use doctrine. However, once your actions leave the strict purview of time shifting -- e.g., recording a program and keeping it after you've already watched it -- the legality becomes less clear. When it comes to transferring a TV recording to a DVD, how you plan to use the DVD will largely determine whether it is fair use. By permitting TV recording under the fair use doctrine, the Supreme Court did not intend for people to create libraries of recordings, which could prevent the copyright holder from rightfully profiting from her work. For example, giving a recorded DVD to another person is copyright infringement. Publicly showing a recorded program without the copyright owner's permission -- for example, without "the express written consent of the Commissioner of Baseball" -- is also illegal. Simply owning a DVD of a TV program that you recorded is not inherently illegal. Time-shifting permits such copies. Under digital rights management licenses, you are also allowed to keep back-ups of movies and music that you buy. If you are writing a review or a paper on a TV program, you may also record and use the recording -- to a limited extent -- in your work. A good rule is this: if you are recording a TV program for any reason other than to watch it later and delete it, consult with an attorney. It's better to be safe than fined. Or jailed. Copyright infringement is no joke. The civil penalties can include restraining orders, monetary damages and in some cases, reimbursement of the copyright holder's attorney fees. In cases where the violation is egregious, it may be considered criminal copyright infringement. Depending on how intentional and serious the act is, criminal infringement could get a violator as many as 10 years in jail, along with a fine of up to $1,000,000. A copyright protects an original creation that has been fixed in a medium, such as a song in a digital file or a story published in a book. To prove a claim of copyright infringement, a copyright owner must show that the infringer copied the protected elements of the original work without permission. Proving that an owner's copyright has been violated can be a challenge. If you have composed a particularly powerful sermon, you might want to have exclusive rights to the content of your message to prevent others from using it without your permission. You can protect your intellectual property by obtaining a copyright, which allows you to use your message as often as you like without fear of plagiarism by others. Copyrighting a sermon is a relatively simple process that you can complete in under an hour. Copyrights give the authors of artistic works the right to keep other people from using and copying their works without the authors' permission. Under U.S. copyright law, a slideshow is considered to be an "audiovisual work" or "multimedia work" that must comply with American copyright rules. If you add music to a slideshow, that music is governed by the same copyright laws that protect music appearing in sheet music and on sound recordings.